The next three sections may be considered as informational only; they are provided for completeness. The horizontal bar under the syllable indicates anudātta; the vertical line above the syllable indicates svarita; and udātta syllables are not marked. In classical Sanskrit texts, the accent is not marked. English has a stress accent system (e.g. listen to the “to” syllable in “photograph” and “photographer”), but there is no stress system in Sanskrit (indeed there should be no stress at all in the study of Sanskrit! ); Sanskrit is either sounded with the pitch accent described above, or in ekaśruti, a neutral accentless tone. This is the alternate form of अ, and just as one has derivatives of the familiar form as आ ओ औ, so one has . This is a variation of the form ए. This is another form of ऋ, similarly for ॠ. An alternative form of झ. Another variant of झ, but far less common. ल Obviously the same as ल. An alternative form of ज्ञ (jña). This is a variation of the form for क्ष (kṣa). ग्ं Another form of the Vedic anusvāra (see 8.A.1). A rarer form of the Vedic anusvāra. ळ Vedic form of ड. ळ्ह Vedic form of ढ. दृ This is a quite common form of दृ (dṛ). 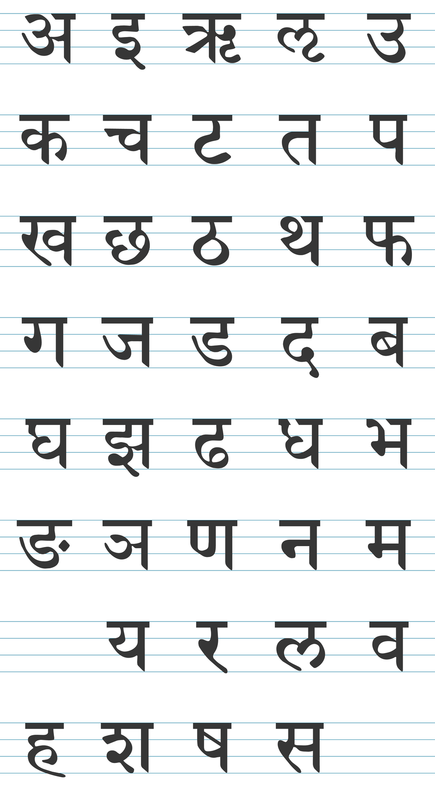 A variation of ह्न (hna). An alternative form of ह्ल (hla). Another form of ह्व (hva). The chart below has a summary of the information about the alphabet, and after that is a reference sheet of the character shapes of the alphabet. This would be a good time to lightly revisit all the notes about the alphabet, starting from Lesson 1: now that you are more familiar with the alphabet, you may find that much of the information now is clearer. Sanskrit grammarians traditionally describe four types of words: kriyā (verb), nāman (noun), upasarga (verbal prefix), and nipāta (particle). The nāman and kriyā have the fundamental notions of “being” and “becoming” respectively. The kriyā type includes the basic kriyā (verbs derived from a dhātu) and the nāma-dhātu (verbs derived from nouns), which conjugate according puruṣa, vacana, and lakāra, as well as the verbal qualifier (kriyā-viśeṣaṇa) which is indeclinable (avyaya). The nāman type includes the basic nāman (common noun etymologically derived from a dhātu), the saṃjñā (proper noun, personal name or technical term whose meaning cannot be etymologically determined), the sarva-nāman (pronoun), and the nominal qualifier or adjective (viśeṣaṇa): all these decline according to liṅga, vacana, and vibhakti. The upasarga (verbal prefix) has been discussed in 7.B.1, and the nipāta (particle) is a catch-all for the remaining types of word. The nipāta are avyaya (indeclinable), and although they are separate words they are not used by themselves: words of this class are ca (and) and he (vocative particle). “I am going by horse,” he says. 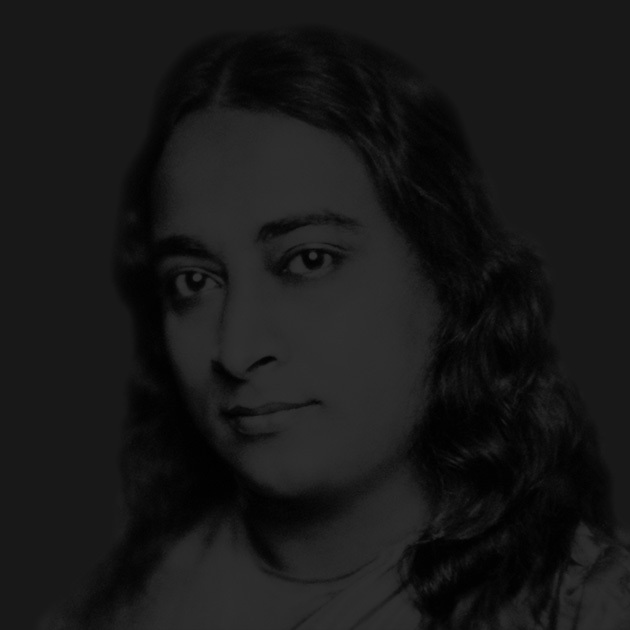 There is no system of indirect or reported speech in Sanskrit, so the above may equally be translated as: He says that he is going by horse. Note that iti grammatically isolates the phrase or sentence before it, from what follows: in the above example, the tṛtīya vibhakti of aśvena is not related to the kriyā vadati, even if the word “gacchāmi” were omitted. This isolating function of iti may also be used to separate a definition from the word being defined, or a grammatical rule from an example of its application, and so on. Practice sounding the alphabetical order (which should be familiar by now) following it through the diagram in 9.A.4; once familiar with the relationship of the alphabetical order to the diagram, thereafter practice sounding the order while following the alphabet chart in 9.A.4. Associating the sound / letter with its position on the chart provides a visual “short-cut” to where a sound / letter is in relation to the alphabetical order as a whole: this will prove to be a very useful trick when using the dictionary. Write out the alphabet once per day, in the form given in the chart in 9.A.4 (ideally ह should be on a line by itself). “I am taking the fruit (plural) to the horse,” the girl says to the teacher. The man says to the girl that he is carrying the tree to the river. You (plural) are quickly taking the girl’s fruit (two) to the man. We (two) take the fruit (plural) from the girl’s tree. The man and girl go to the handsome teacher by river. The beautiful girl leads the horse to the small trees (plural) for fruit (plural).